I really became attached to a particular hat this winter and pretty much wear it all. the. time! I even, for the most part wear it in the house! I decided with winter dragging on that a new, bright colored hat might be a great project. I found some beautiful yarn, bright and sparkly. I have a hat pattern for about 10 years now that I wanted to knit, but never seem to get around to it – well the time was now! 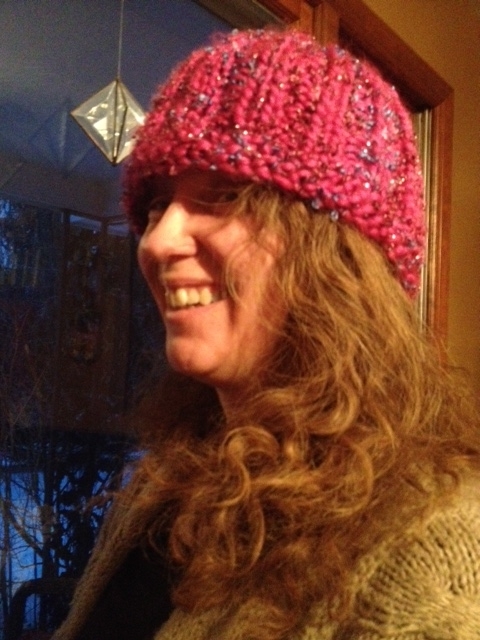 With all my hair it is not the easiest thing to find hat that fit me just right – this hat knits a little big and does not fit my head snugly, which I prefer. 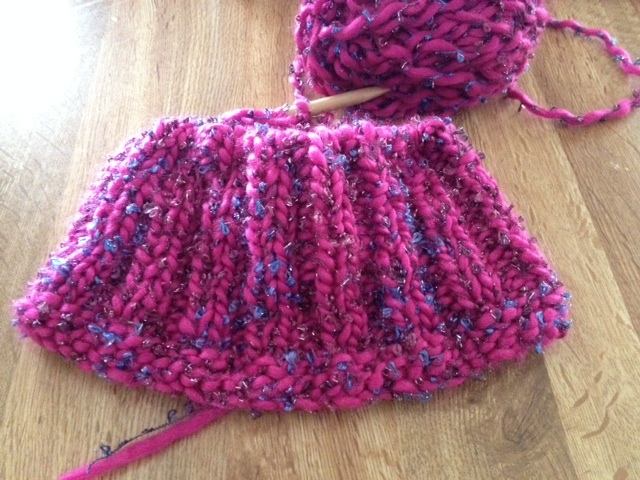 I do really like the pattern and it will make for a good spring transition hat. Wanted to make it fun while Stella was taking photos! 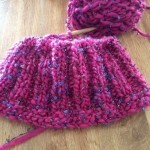 SSK (slip, slip, knit) – slip 2 sts, one at a time, as if to knit. Slide the left needle through the front loops of these two stitches, from left to right and knit them together from this position. 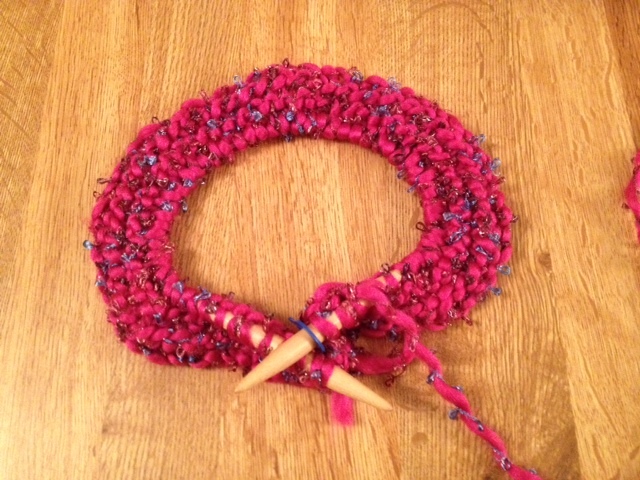 K2Tog: Knit 2 stitches together as one. 1. Cast on 64 stitches. 2. Place your marker on the needle and join the stitches, making sure not to twist. Round 5: K1 *P2, K2*, repeat to last 3 stitches, end P2, K1. Repeat round until hat measures 5 1/2″, this will just cover ears, if you want it to cover all of your ears, adjust to desired length. 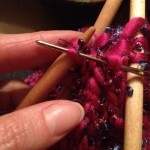 Top Shaping – when necessary changed to double pointed needles. 2. 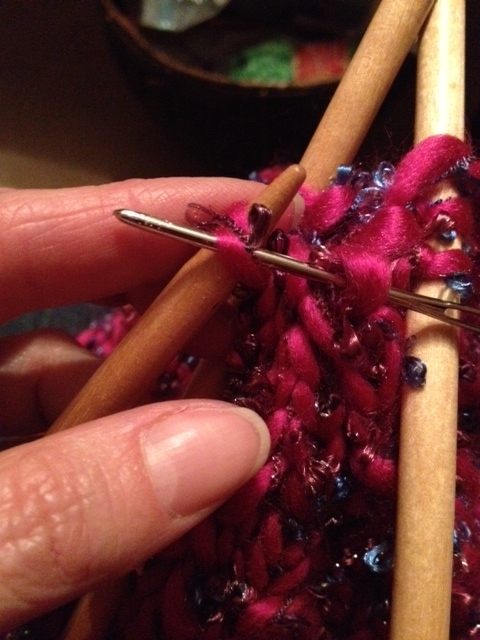 Using a darning needle, thread yarn end through the remaining 8 stitches. Pull together tightly and fasten off. 3. 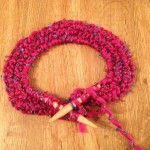 Work in all yarn ends. If you need to block your hat: soak in lukewarm water until thoroughly wet. Roll in towel to remove excess water, then shape and air dry. 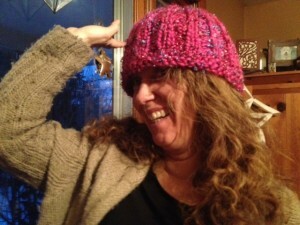 This entry was posted in Crafts, Knitting and tagged crafts, hat, knitting, pattern. Bookmark the permalink.